The Stingers were visibly disappointed after losing to Ottawa on Sunday afternoon. The players stood on the field with looks of disbelief and frustration on their faces. Concordia fell 20-17 at Concordia Stadium right after the men’s victory earlier on Sunday afternoon. Head coach Graeme McGravie didn’t mince words in his post-game interview. Going into this game, the Stingers felt like they had something to prove. The Gee-Gees have had the upper-hand on them in their last two encounters on the field. 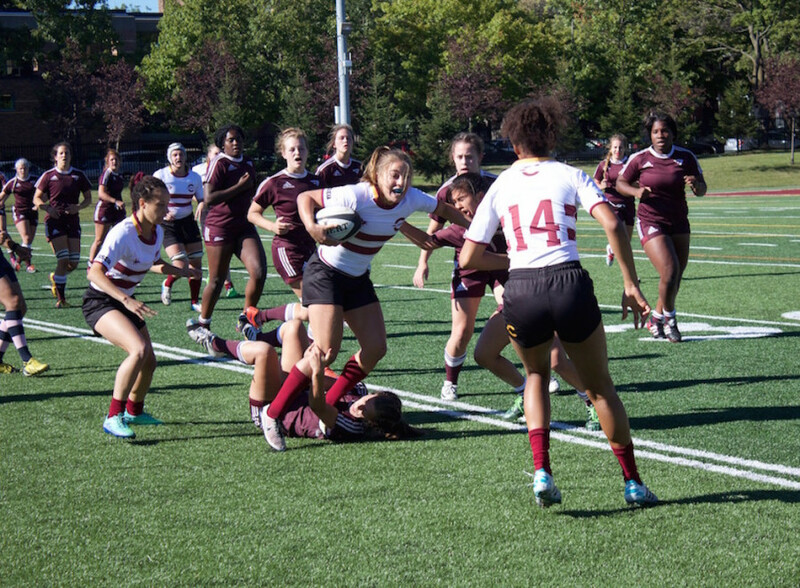 Ottawa dominated Concordia last year in the Réseau Sport Étudiant du Québec finals and at nationals to capture the bronze medal. Concordia got off to a slow start. Ottawa lead twice in the first-half, at 5-0 and 12-5. The Stingers played catch-up and managed to tie the game at 12-12 at the end of the first-half. Jasmine Akkermans and Emerise Moncion scored the team’s two tries. The team felt confident going into the second half. However, the rest of the game was another story. The Stingers had trouble moving the ball forward. 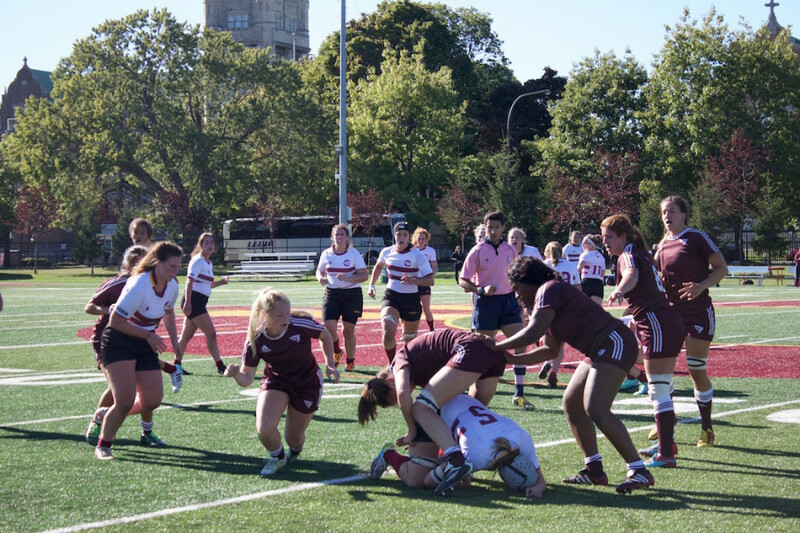 Ottawa sustained pressure in Concordia’s zone, which eventually led to their third try of the game. Jenna Thompson scored a try to narrow the gap at the 77 minute of play but it wasn’t enough to get a win on home turf. The Stingers inability to score stood in stark contrast to their two previous victories, where they recorded a combined 187 points over the Bishop’s Gaiters and Sherbrooke Vert et Or. Even though Concordia didn’t play a solid 80 minutes, the team was satisfied with many aspects of their play which, for the head coach, made losing even tougher. Concordia will be looking to get back to their winning ways when they face the Carleton Ravens next Sunday afternoon in the first of two away games.